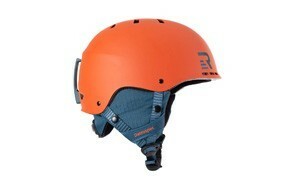 The Petzl Elios Club Helmet features the standard 2-layer construction of the ABS/EPS helmet. The outer layer is designed to stop rocks and ice and the inner layer is designed to diffuse the force of the impact. 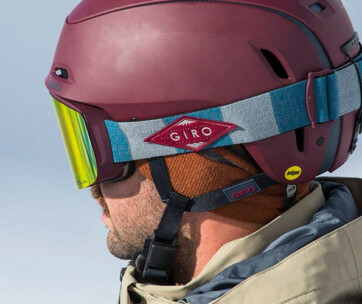 Whether you are a quarry climber, an indoor wall aficionado, a fan of steep sheer granite faces or an icefall devotee the Elios Club Helmet has plenty to offer. If you are a passionate climber, check our our guide to the best carabiner as well. Beyond that, the Penta fits well over hats and under hoods. The interior EPP liner is generous and unobtrusive and the built-in headlamp clips hold your light firmly in place so you don’t lose your way when scrambling back to the tent or car after dark. 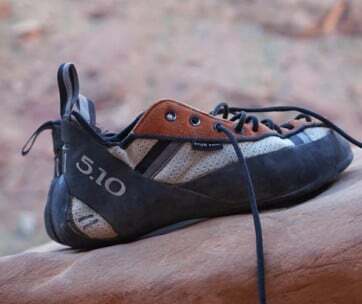 Ideal for all kinds of rock and climbing walls. Adequate to good for ice climbing. Make sure you also check our guide to the best bouldering crash pads. Brand - As always we don’t rule any helmet out or in based solely on the brand. If it passes muster with our testers then it makes the list. 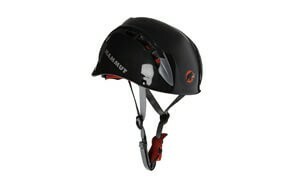 Reviews - A helmet only shows it’s true worth when something comes hurtling your way, or when you fall and get slammed against the mountain or climbing wall as the rope catches you. So we look for certifications over reviews and trust our own experience (there’s a couple of ice climbers in our office) over that of reviewers who’ve never had a 10-pound piece of ice come crashing down on their helmet. Price - Even the most expensive climbing helmet isn’t going to send most people to the poor house. And considering that their job is to protect your brain from life changing or life ending accidents, the price should be a secondary consideration to performance. Materials - Essentially there are two types of climbing helmet: hardshell and softshell. 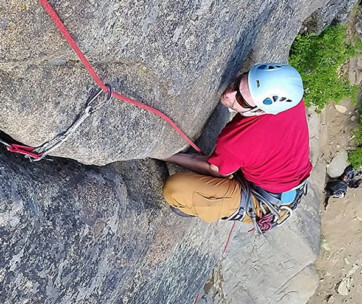 Coverage/Protection - There is an active debate ongoing within the climbing community about the trend toward ever-larger vents on climbing helmets. The job of the helmet, after all, is to protect you from falling rocks and ice, not to look slick or keep your head cool. 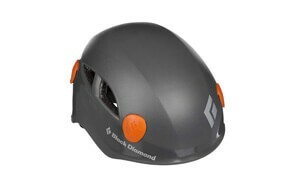 If a helmet provides effective climbing protection and still manages to look slick and keep you cool, great. But it seems many designers are losing sight of the primary purpose of the helmet. As experienced climbers who’ve been under a few ice falls and felt the sharp crack of the rock striking the helmet we come down squarely on the coverage side of the argument. Breathability - Climbing walls can be great fun but when they’re outdoors you can really get heated up. Same with granite cliffs. For warm weather climbing, ventilation is essential, let your vision be compromised by sweat rolling down into your eyes. Weight - How much weight you’re willing to endure is up to you. But we would suggest that weight is a secondary concern to safety. A nice light helmet may be a joy to wear but if it shatters under the impact of a large stone or piece of ice you’ll be wishing you’d gone with the slightly heavier, sturdier helmet. Adjustability - Often while climbing it’s necessary to make adjustments to your helmet. If you are leading an ice climb, 50 feet above the last piece of climbing protection you’ll only have one hand to make that adjustment. If possible, before buying a helmet you should test out various ones to see how easy they are to tighten or loosen with one hand. Also, if the helmet has an adjustment wheel in the back see if you can manipulate it easily while wearing a glove.